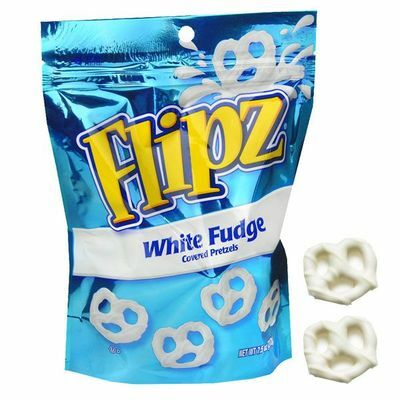 Flipz White Fudge Covered Mini Pretzels. You! This is a 5oz bag filled with bite size pretzels covered in delicious white fudge.